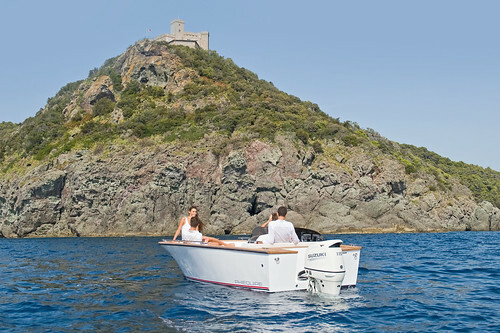 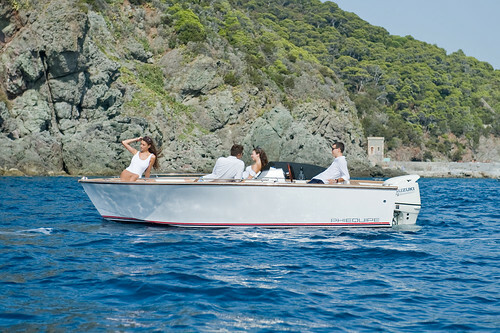 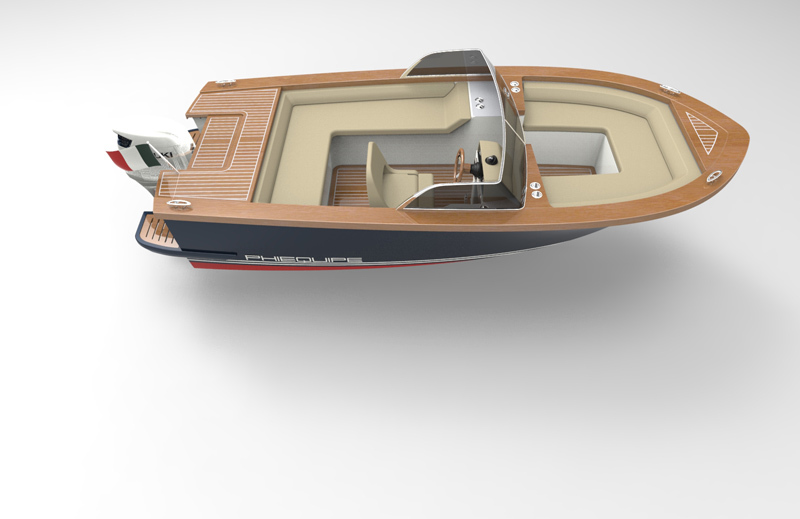 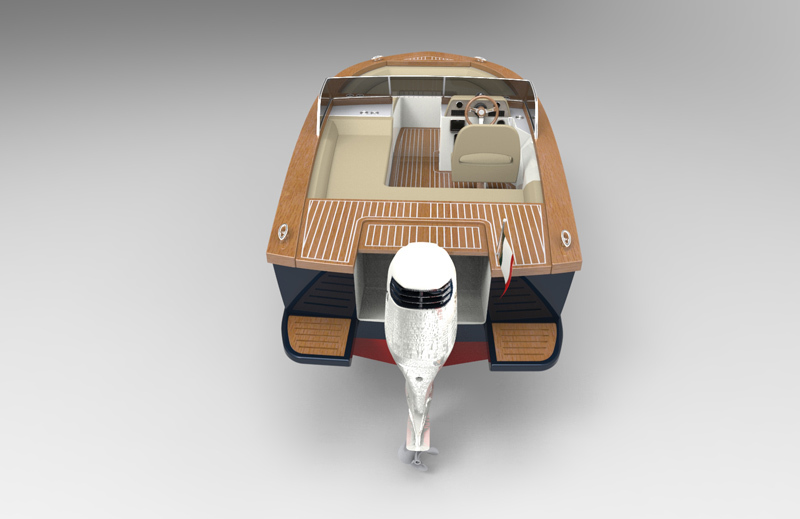 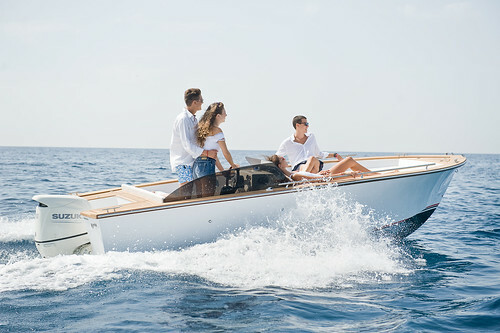 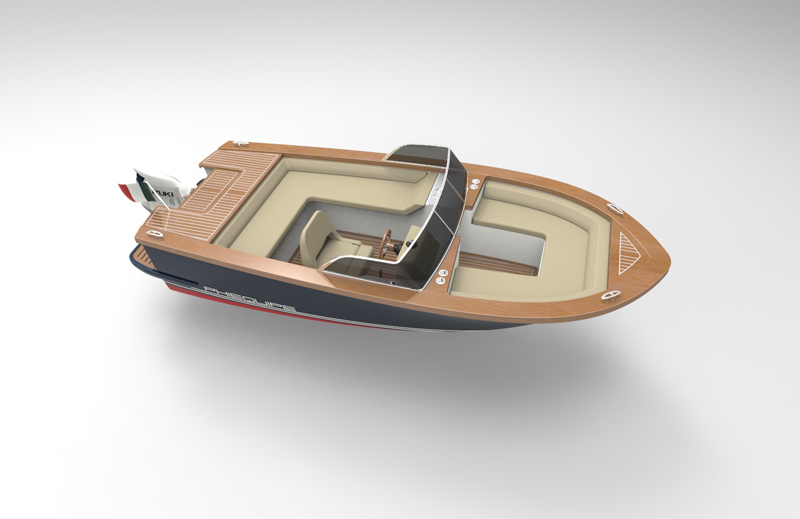 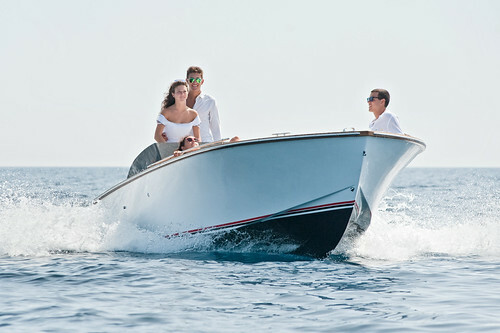 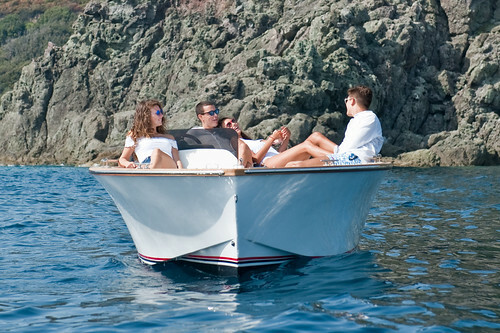 MB18 is intended as a tender for high-end yachts or as an elegant day cruiser. 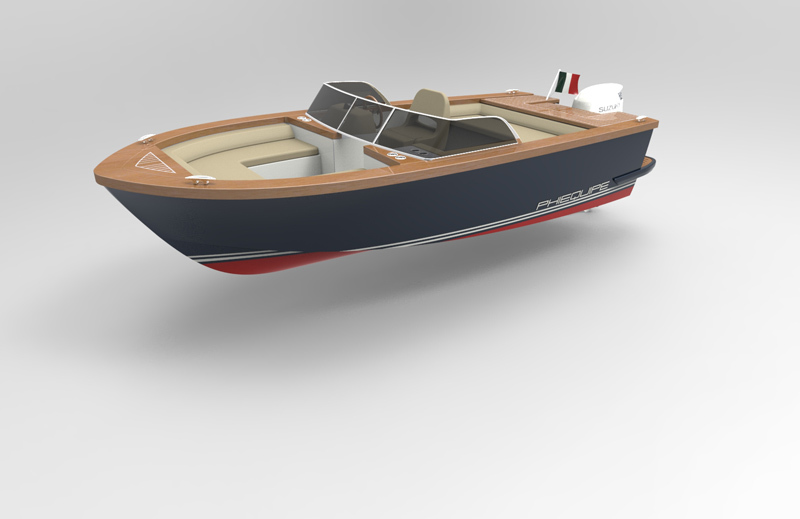 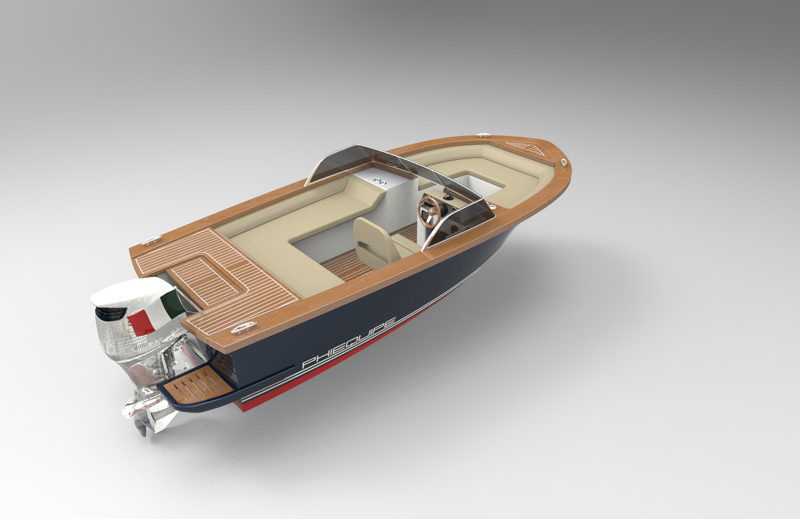 Its driving position at right side is not only a tribute to sport cars from the Fifties but allows to obtain a lots of space inside the boat and offers an overwhelming sense of space compared to competing boats in the range. 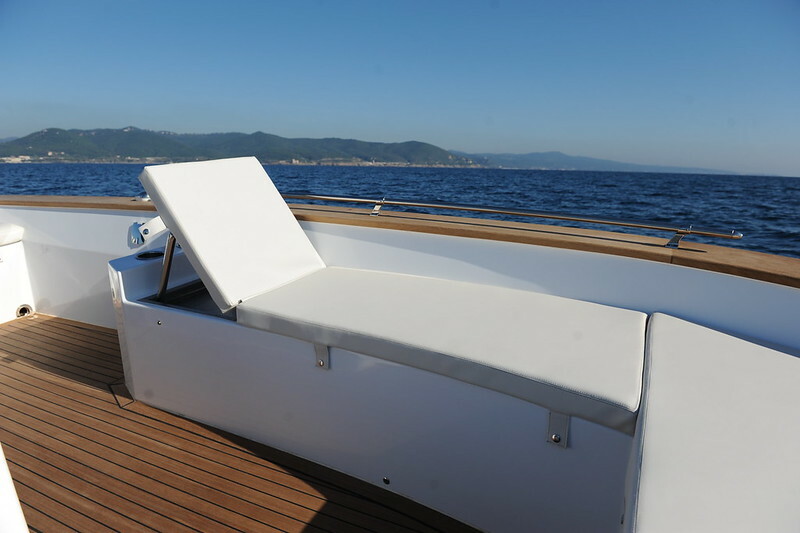 The bow sofa is easily convertible through custom dunnage and three-cushion sun lounge available as optional in a spacious sunbed perfect for a relaxing nap or drying in the sun after a refreshing dip in the water. 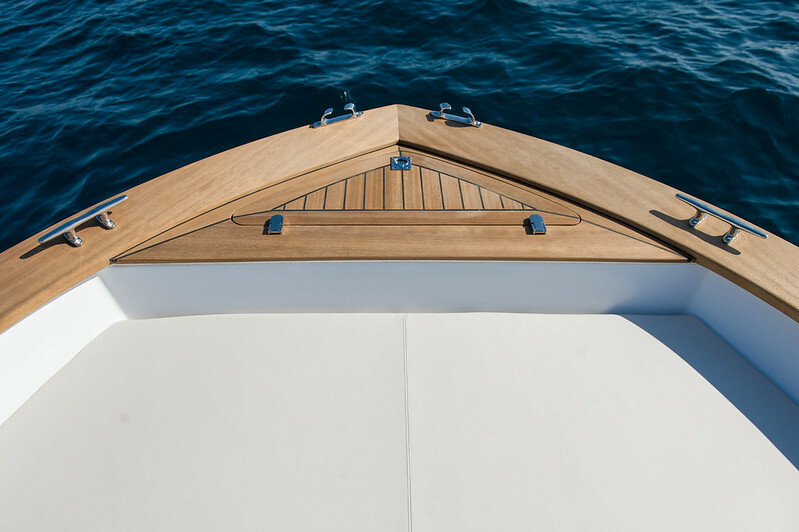 The shape of the hull with “butterfly wing” bow shoot through waves with unusual balance and stability and provides a pleasant plane sensation for those inclined to higher speed levels. 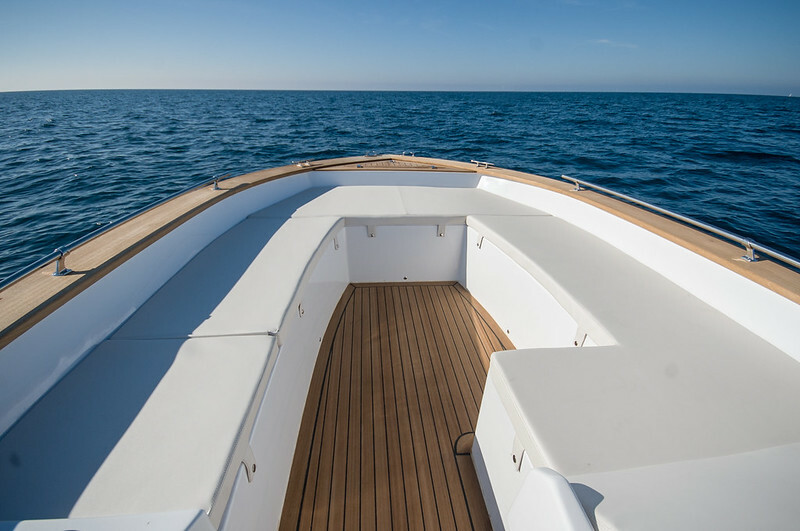 This hull construction ensures that guests get comfortable and can enjoy dry surfing even with rough seas and strong wind. 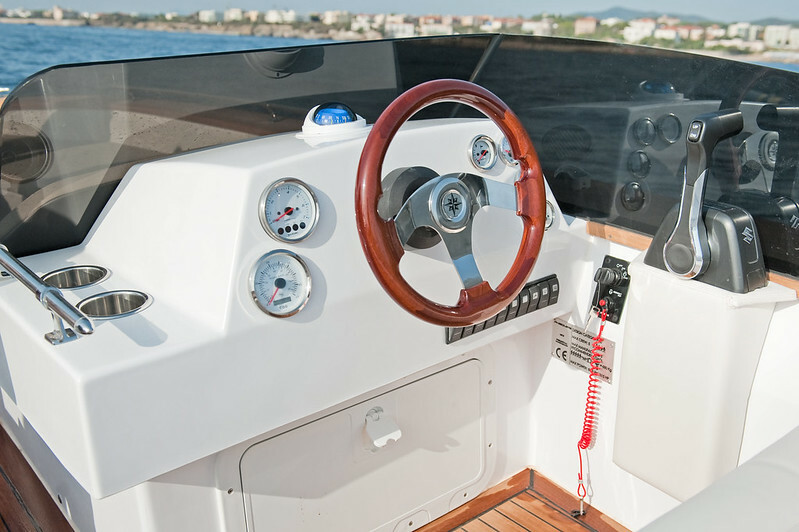 It is simply to drive, has perfect steering capabilities and a surprisingly high degree of stability making it optimal as well for customers with little sailing experience. 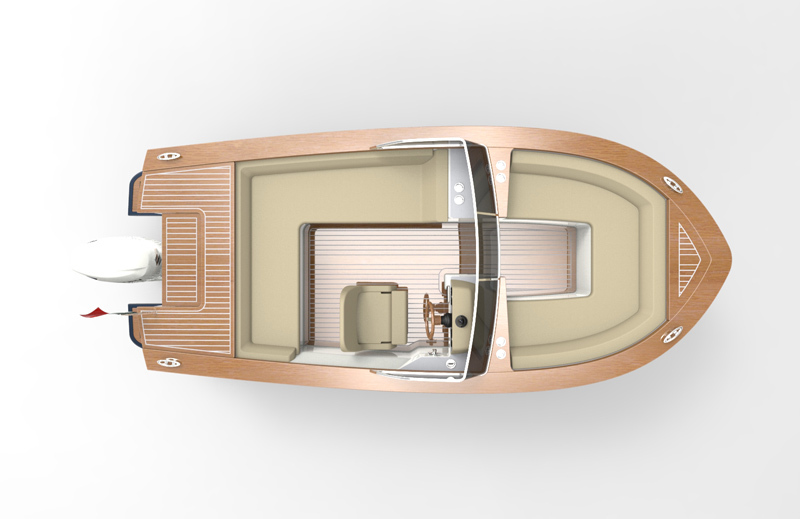 Taking great care in the details, the wooden decking, precious textiles, accurate stitched seams give the MB18 sophisticated and well-trimmed look. 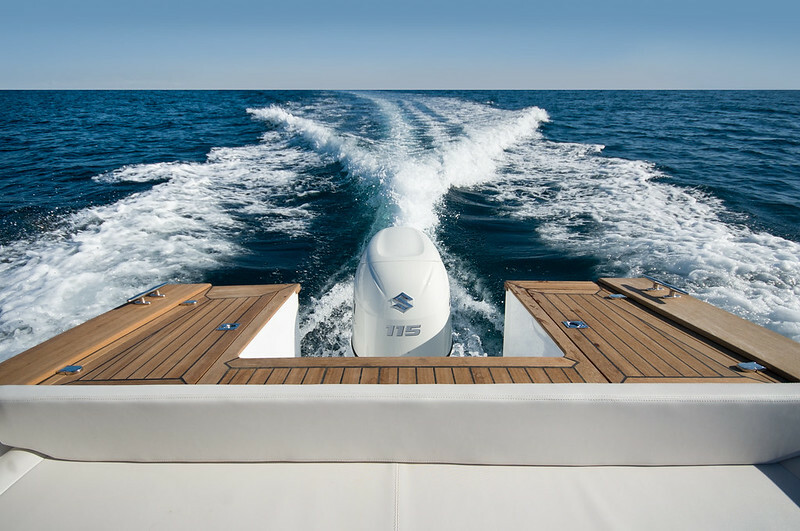 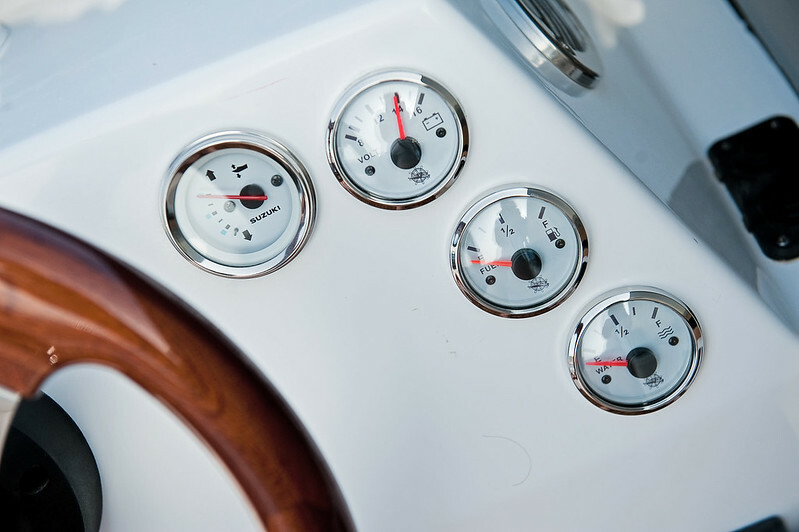 MB18 is available with outboard engine, or in alternative with inboard-outdrive diesel or gasoline engine.